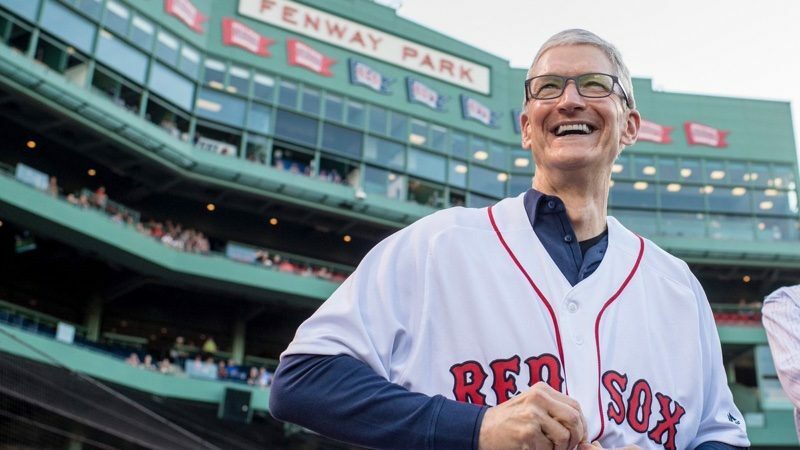 Investigators for Major League Baseball believe the Boston Red Sox, currently in first place in the American League East, have used the Apple Watch to illicitly steal hand signals from opposing teams, reports The New York Times. The Red Sox are believed to have stolen hand signals from opponents' catchers in games using video recording equipment and communicated the information with the Apple Watch. An inquiry into the Red Sox' practice started two weeks ago following a complaint from Yankees general manager Brian Cashman, who caught a member of the Red Sox training staff looking at his Apple Watch in the dugout and then relaying information to players. It's believed the information was used to determine the type of pitch that was going to be thrown. Baseball investigators corroborated the claim using video for instant replay and broadcasts before confronting the Red Sox. The team admitted that trainers received signals from video replay personnel and then shared them with some players. The video provided to the commissioner's office by the Yankees was captured during the first two games of the series and included at least three clips. In the clips, the team's assistant athletic trainer, Jon Jochim, is seen looking at his Apple Watch and then passing information to outfielder Brock Holt and second baseman Dustin Pedroia, who was injured at the time but in uniform. In one instance, Pedroia is then seen passing the information to Young. Observing signs is allowed when a runner on second base visually intercepts signals between the catcher and the pitcher and relays that information to the batter, but recording signs with electronic devices is not permitted. It's not yet known if the Red Sox will face penalties for the scheme, but in light of the signal stealing, the Red Sox have also accused the Yankees of using a camera from the YES television network to steal signs during games. Update September 18: According to a Major League Baseball source who spoke to Boston Globe reporter Nick Cafardo, the device used to transmit stolen signs was a Fitbit, not an Apple Watch. A Boston sports team caught cheating..SHOCKER!!! Maybe I'm missing something, but this sounds like the "used an Apple Watch to steal signs" portion of this story could be summarized as "the people stealing signs sent a text message to a person in the dugout. That person happened to be wearing an Apple Watch". Boston/NE are a bunch of CHEETAAAAASSS!!! Damn Tim! First it's stealing jobs from Americans, now stealing signs? I thought you were allowed to steal in baseball. The irony... coming from the Yanks. With any luck, they won't be at the top of the AL East for long! Tom Brady never cheated either. /S. No of course not and belichick never videotaped other teams practices. they were just fined, suspended, and stripped of draft picks for the hell of it.